All Atlantis Dental team members took pride in supporting the Annual Anti-Bullying campaign also known as Pink T-shirt Day on February 26, 2014. Here at Atlantis Dental we want all our patients – young & old – to know that we encourage a positive and healthy lifestyle, free of bullying. 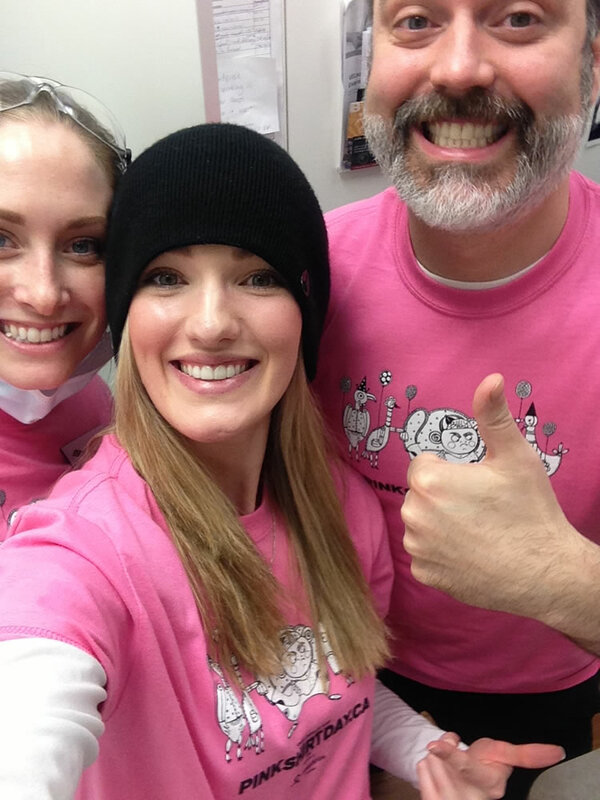 In this photo we have Kaitlyn, Lisa & Dr Karkanis sharing a selfie rocking their pink t-shirts! We look forward to next year’s Pink T-Shirt Day.